Blondie and Brownie: "You Want Dumplings?" "Yes, Yes, I Want Dumplings." "You Want Dumplings?" "Yes, Yes, I Want Dumplings." Isn't it grand feeling better after being sick, especially the appetite returning part? Not that my appetite left, it just sort of subdues itself during illness and times of high stress. Well, if you've been checking our Twitter, you'd see that I was craving dumplings and pizza yesterday. Not together, of course. Though I wasn't quite okay enough to trek to Williamsburg, I did make it to Flushing, and I was so glad to be feeling better. I knew that Danny had visited the Golden Shopping Mall food court and found some delicious dumplings. Eager to follow his advice, I promptly headed in that direction once off the train, and wrongly entered the first entrance marked "Golden Shopping Mall". I walked down a flight of stairs, into a hot basement area with food stalls, mostly advertising noodles and soup, only one had a single, solitary tray of dumplings. I came to the quick realization that I was in the wrong place. Back up the stairs, out on the street, I walked a few steps down the block before seeing another "Golden Shopping Mall" entrance, this one marked with the beautiful sign "food court" which probably should be with the other entrance because whatever kind of food court this side had, it no longer exists. 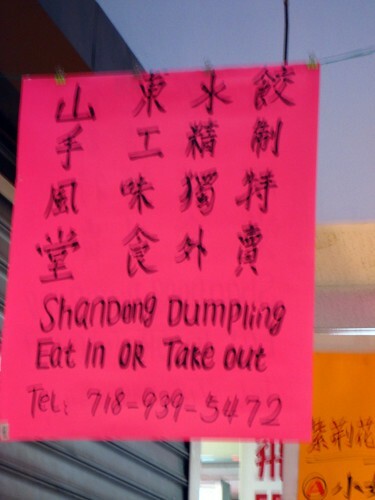 The only place upstairs to get food was the stall, but not the sign, I recognized from Danny's post, and they had dumplings. Bingo, we were cooking with gas. Upon entering the stall, I looked up, analyzing the menu when one of the ladies came out from behind the counter saying "You want dumplings?" 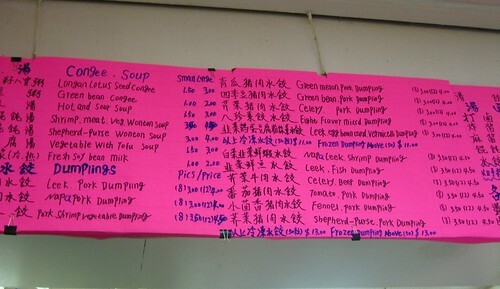 "Yes, yes, I want dumplings," and handed me a paper menu with numerous marks from its many uses. I chose the napa cabbage and pork, took a seat, and waited patiently while eyeing the soups being eaten by the other patrons; I will be returning, they looked delicious. I also witnessed another lady hand packing the dumplings, so these bad boys are fresh. After bringing my plate, the first lady tried her best to make sure I could eat them, first handing me a spoon, and then a fork (I think I impressed them with my chopsticks skillz) before pushing a strange vinegar on me. 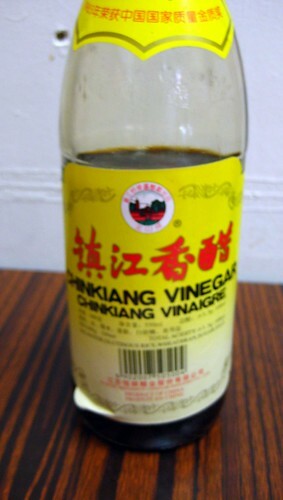 I'd never had Chinkiang vinegar before, but I am so happy that I let her pour it in my dipping bowl. It's some seriously delicious sauce, more flavorful than soy sauce and my new dipping sauce of choice. The dumplings themselves were incredible. 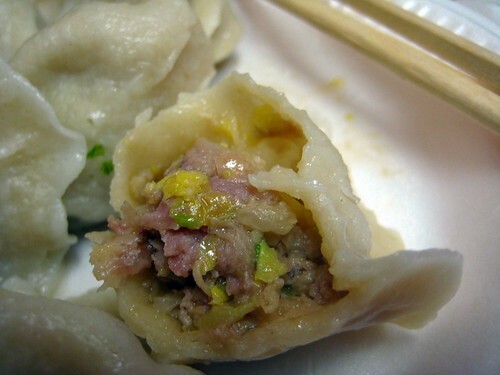 Fresh, meaty, a little crunch from the cabbage, the dough was thin, light and fluffy, perfectly steamed, and enough seam to keep the filling inside, but not choke you; I made quick work of the eight I bought. These women know what they are doing. I can say without a doubt that they were the best dumplings I've ever had. 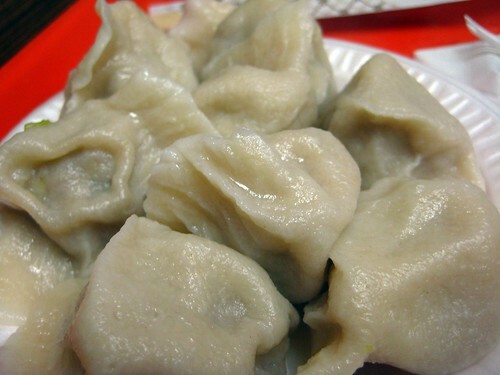 The next time I'm there, I may have to buy a bag of frozen dumplings to take home, after eating some. Oh, and they were $3, how's that for a cheap lunch? Afterwards, I needed to pick up some Chinkiang vinegar, so I walked on over to my favorite Flushing market, found the vinegar and then roamed the aisles. I love roaming the aisles in unusual and foreign environments. I often walked aimlessly through French supermarkets, just to see what I could buy. Usually, you can find me in the sweets aisle. 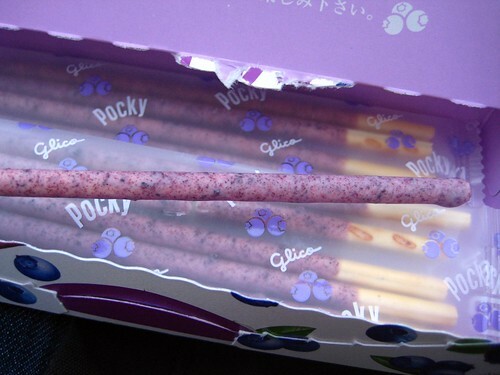 This particular supermarket has a decent selection of Pocky, including blueberry. I love blueberries. I love Pocky. I needed dessert. 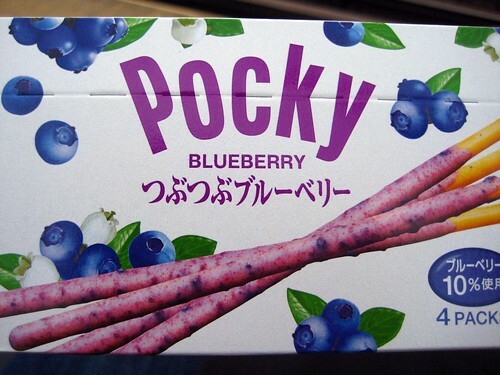 Mmm, blueberry Pocky. Delicious. For a SE:NY article about the other food available, click here. Yum. I love getting my appetite back after being sick. Mmm those dumplings look great. What are pocky? Nice one! 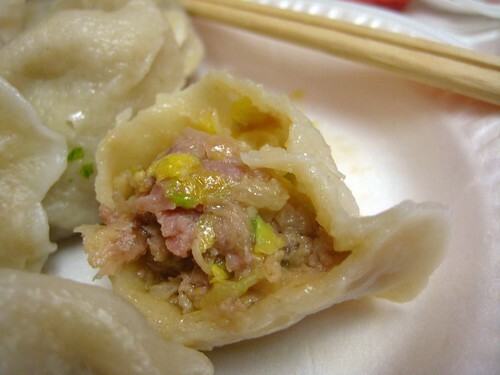 If you guys ever go back to Flushing, you gotta try White Bear's dumplings. Simply awesome!